When: November 2, 2019 at 9:00 am (9:45 start time for those doing the short course) at Kentucky Camp, 40 miles south of Tucson. There are two options for this race, (1) a 29-mile lollipop or (2) a 46-mile figure 8. There will be camping available and a post-race party in the area for those that would like to grill. Registration closed for 2012. Entrance this year will be a six pack of good beer! Afterwards, we will drink the beer (leftover beer will be used at future events). Using a GPS is highly recommended! The Kentucky Camp Epic directions are available here for those wishing to do a pre-ride: http://www.sdmb.org/Trails/Trail-IMBAepic.html (note that this only covers the “lollipop” portion of the long route, not the “stick” / out and back portion. 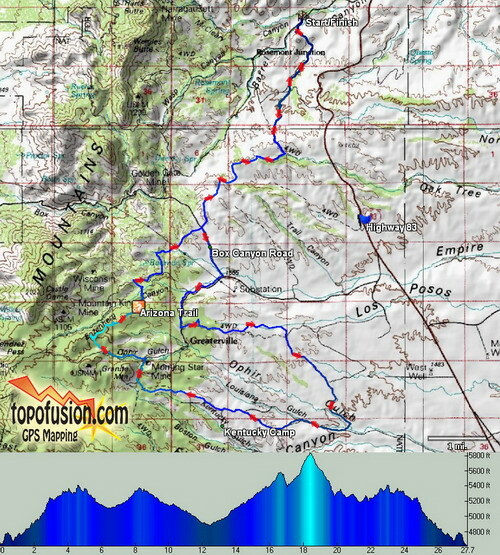 Note the arrows in the above maps provided by Topofusion.com to make sure you understand which direction the route goes. Take I-10 east out of Tucson to exit 281, the Sonoita Highway / State Highway 83 exit. Heading south on 83, 11.5 miles from I-10, look for a picnic table/rest area on the right side of the road, turn right down the dirt road just after it, signed for Rosemont Junction (FR 231). 1.41 miles in, a cairned singletrack crosses the road. This is the start/finish for racing. 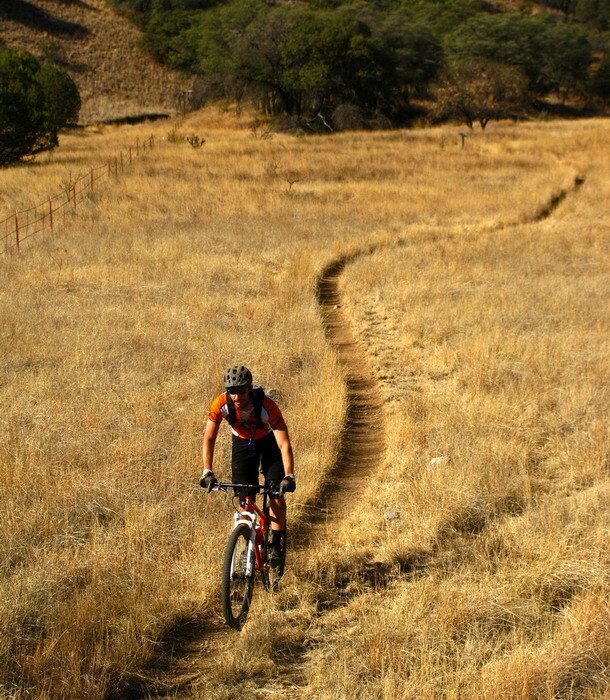 A GPS is recommended for a pre-riding and during the event. Parking lot is on the left of the road, 1 mile from the highway, just before the singletrack. We will have a 1/2 mile ride from the parking lot to the singletrack. Google maps link here. About 1 mile from said turn onto Rosemont Junction Road, there is a OHV area to camp. 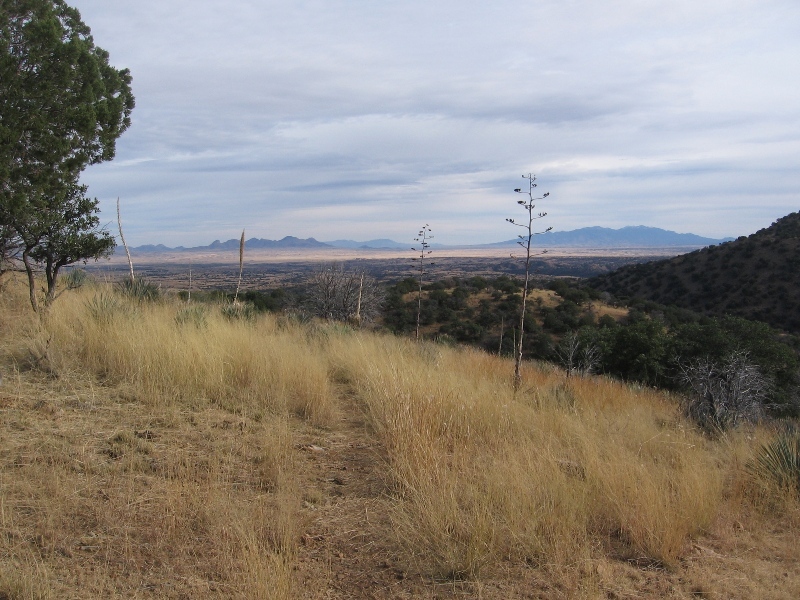 A few hundred yards pass this area, there is a huge lot on the left with a corral and some parking on the right side. Choose any of those spots. I promise to ride the course in the correct direction this year. I signed up but now can’t make it. maybe next year. I just go the flu so someone else can have my coveted long-course spot. I registered for the short loop, now momma wants to come along? cool if she comes? twice the beer!?! I’ve registered but I’m afraid I can’t make it this year; please cancel and let someone else race! Thanks! I am not making it either this time. I signed up for the long loop and may have gotten in over my head. All previous rides have been 5-10 miles. Is this a bad idea? Is the course marked? Are there any sag stations? Sounds like a pretty bad idea Raymond! The course starts out on the AZ Trail which is marked, but it will go off on some dirt roads which you need to follow by gps, map or memory. I would recommend trying the short course first. The only water available is at Kentucky Camp. No sag stops. 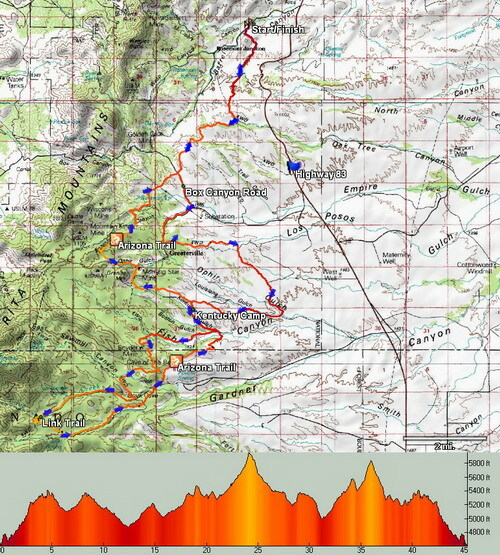 I am doing the long course and I think that I will camp Saturday night. Hi, I will no be able to make it tomorrow for the race. I couldn’t notify you before.